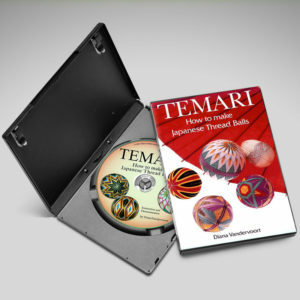 TEMARI TREASURES is a book for more intermediate level projects using all 3 divisions – 8 more spectacular designs plus another wrapped ornament called the “koma” or spinning top. Tassels both informal and formal with dragonfly knot. 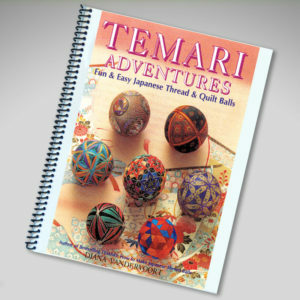 Temari: Japanese Thread Balls, needlecraft at its most rewarding, lavish and exquisite, are stitched on balls wrapped with the threads of 1000 years of tradition, transformed through time from a humble home craft to a revered art form. These Auspicious Gifts are now the formal and elegant symbols of love and joy and highest esteem. 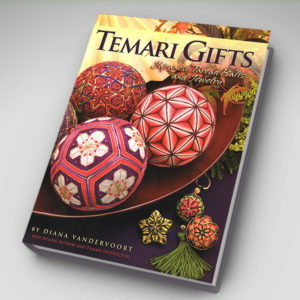 Glorious personal gifts, bring soothing, satisfying hours of absorbing fascination. 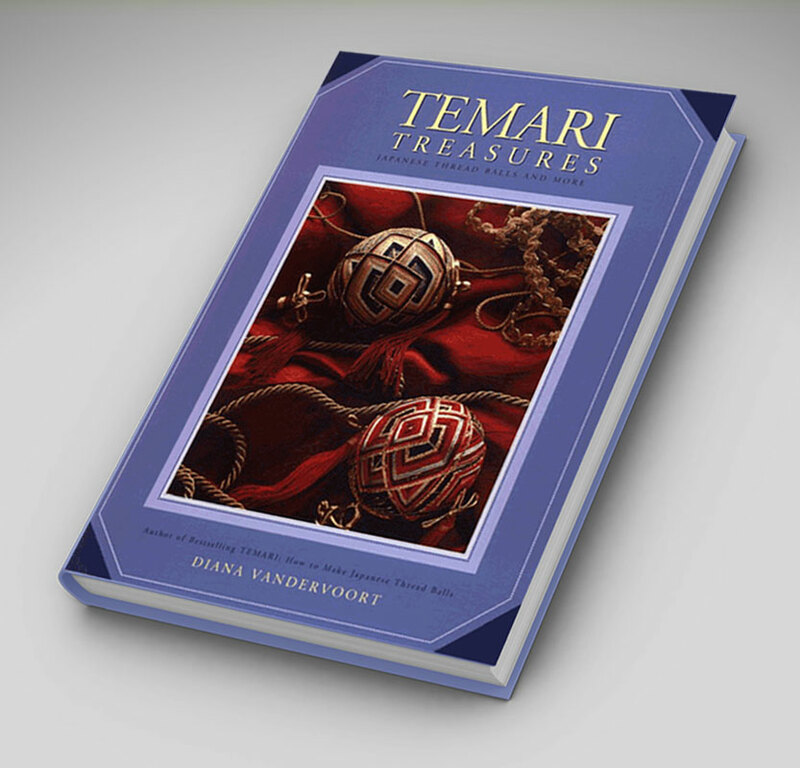 TEMARI TREASURES is a book of more intermediate level projects using all 3 divisions – 8 more spectacular designs plus another wrapped ornament called a “koma” or spinning top. Tassel instructions are also included for both informal and formal with dragonfly knot.